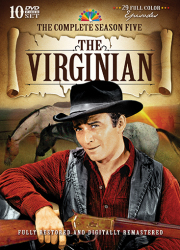 Owen Wister’s 1902 western novel The Virginian was one of the first great novels of the American West. 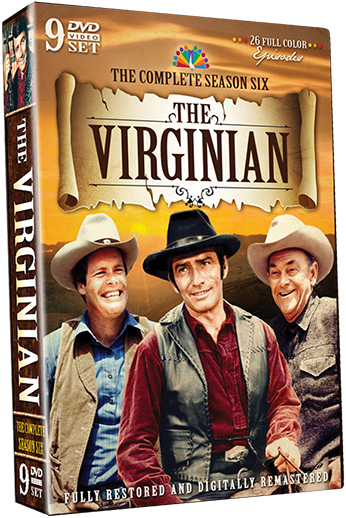 Set in the semi-mythical town of Medicine Bow, Wyoming in the 1890s, it chronicled the lives and relationships of the people who came west and settled the wild land. 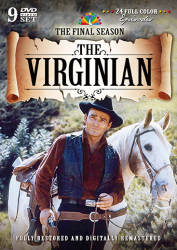 The Virginian was the first 90 minute television western, airing in prime time on NBC from 1962-1971. 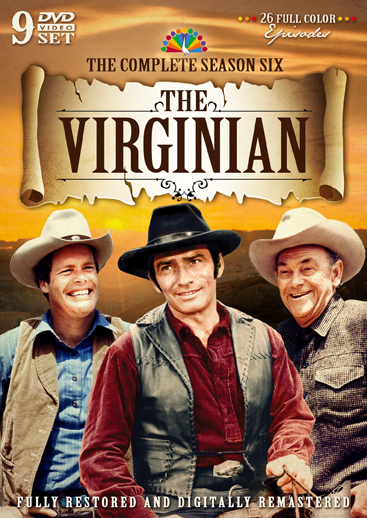 Season Six of The Virginian saw James Drury and Doug McClure continue their roles as The Virginian and Trampas, but as in the previous seasons, there were changes in Medicine Bow. 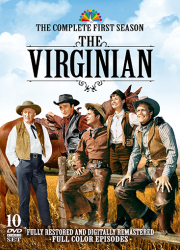 The great Charles Bickford (John Grainger) passed away mid-season, and was replaced by Wagon Train’s John McIntire as the new proprietor of the Shiloh Ranch, Clay Grainger. 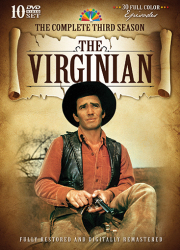 McIntire’s real-life wife, Jeanette Nolan, took the role of Clay’s wife, Holly. Sara Lane, Don Quine and Clu Gulager rounded out the cast of Season Six and the saga of Medicine Bow went on. 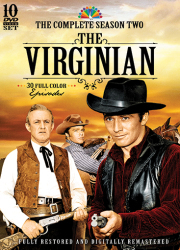 They were joined by a distinguished array of guest stars, including Charles Bronson (The Reckoning), Darren McGavin (The Deadly Past), James Whitmore (Paid in Full), Susan Oliver (A Small Taste of Justice), Leslie Nielsen (The Fortress), Robert Lansing (Execution at Triste), and the Velvet Fog himself, Mel Tormé (The Handy Man), just to name a few.